The rare find was hauled from its 2,000 year-old resting place by a man with a metal detector and has been taken to the British Museum for safe keeping. 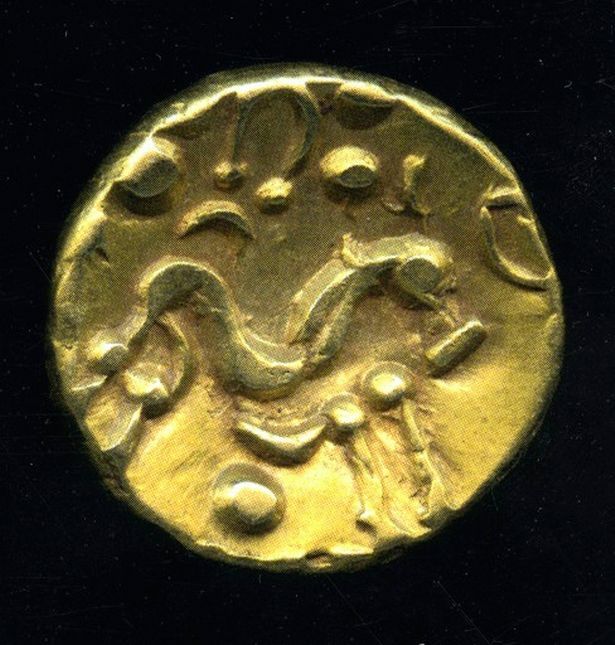 Resident archaeologist at Eden Valley Museum in Edenbridge, Claire Donithorn said the coins were unearthed in October 2016 but their exact location was not being revealed and details kept secret. She said the museum would be launching an appeal to raise part of the £13,000 needed to save the coins for the people of west Kent and the sale's proceeds would be split between their finder and the land's owner. "To find a haul of this size is extremely rare," she said. "Coins have turned up in the south of England before but not something like this. "These will be our first significant Iron Age exhibits. "They date from precisely the time when Britain emerged from Prehistoric to Historic times. Out aim is to keep the hoard together and to ensure that it stays in the Valley for us and for future generations." The coins are thought to date from around 50 or 60 BC and would probably been used as gifts to pay or bribe mercenaries fighting with the Gauls against Julius Caesar. They were manufactured in the Amiens region of northern France. Precious gifts were often buried as offerings to the gods, or to mark a significant event. They may also have been hidden for safety reasons, added Mrs Donithorn, 67. The museum has already secured grants of more than £11,000 but will need another £2,000 to purchase the coins and provide secure display cabinets.